CREEES is adding to the Polish Studies curriculum at UT this year by running a Maymester study abroad program in Warsaw on Security and Society in Central Europe. The course has 23 undergraduate students registered and is being led by Dr. David Eaton, Professor of the LBJ School of Public Affairs, who first traveled to Poland in the 1970s and has been a strong proponent of leading a student group there ever since. Dr. Eaton is also helping organize internships in Krakow for students who would like to stay in Poland after the conclusion of the Maymester. For the past three years, Polish language instructor Bernadeta Kaminska has been teaching all levels of Polish through the third-year level. In fact, Polish boasts the highest enrollment of our non-Russian language course offerings at the first and second year levels! 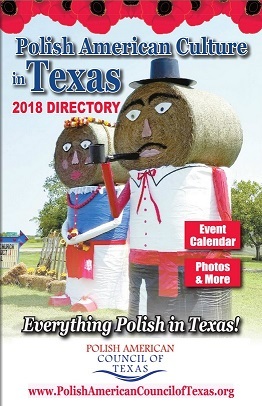 CREEES has also awarded approximately two very lucrative Academic Year and Summer Foreign Language and Area Studies (FLAS) Fellowships to UT students for Polish language study every year since 2015. 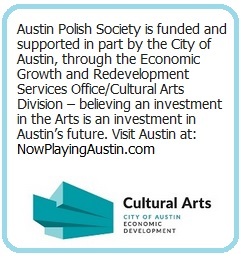 The Polish Studies Endowment, founded in 2013 by members of the Austin Polish Society, is growing steadily as a result of annual investment from the Austin Polish Film Festival. The book value of the principal for the endowment is currently at $71,571. The endowment generated over $3,600 in interest income for the 2017-18 academic year, and in anticipation of the Poland Maymester program scheduled for Summer 2018, CREEES rolled forward approximately $2,000 of last year’s interest income from the account, in order to give additional scholarships to a higher number of UT students traveling to Poland than usual. CREEES looks forward to continuing to recruit and fund students interested in learning about and traveling to Poland through the endowment for years to come. Give to the Polish Studies Endowment at http://links.utexas.edu/cgqdagc!